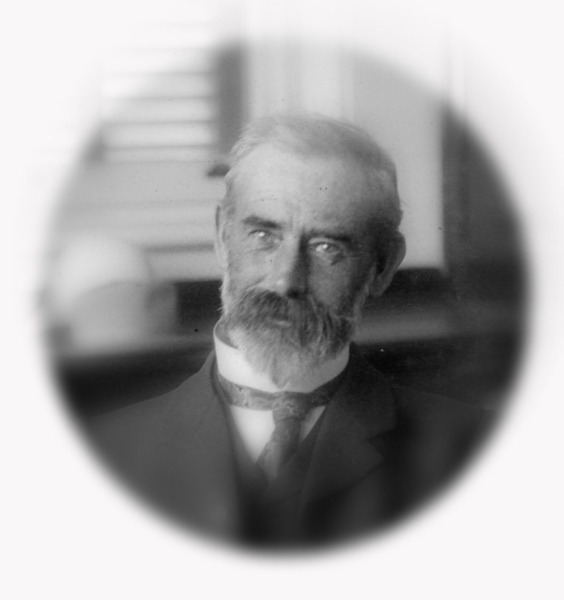 Help us honour William Thornborough Hayward's service by contributing information, stories, and images so that they can be preserved for future generations. William Thornborough Hayward was born in Reading, Berkshire on 26th January 1854. At the age of 15 he entered the Royal Infirmary School of Medicine at Liverpool. He succeeded as a student with distinction and progressed to King’s and Queen’s College of Ireland. He came to Australia in 1878 as a ship’s surgeon, and the following year set up practice in Riverton. He moved to Norwood in 1882 and became a lecturer at the University. He was made an honorary physician to the Adelaide Hospital in 1885 and in 1889 honorary medical officer to the Adelaide Children’s Hospital. He was a forthright opponent to the Government over the Adelaide Hospital dispute that closed the medical school for 5 years. He was a member of the University of Adelaide Council from 1900-24. He was elected President of the SA Branch of the BMA in 1911, and was the first President of the Federal Committee of the BMA. William Hayward had served in the SA Militia for ten years and held the rank of surgeon major. He was presented with the gold medal of honour by the British Medical Association for distinguished service in 1914. At the age of 61 years on the outbreak of war he volunteered for the AIF on the 12th August 1915 at Adelaide. His wife Florence was named as his next of kin. They were living at Ruthven Mansions, Pulteney Street, Adelaide. He was 5ft 10ins, and weighed 11st 9lbs. He was appointed to 10 AGH with the rank of lieutenant colonel. He embarked from Adelaide in August 1915 for England. The 10 AGH in England was never formally raised, and on arrival in England Hayward was posted to command 1 AAH at Harefield. He held this command for two years. He was appointed CMG and Mentioned in Dispatches for distinguished service in June 1917. He was sent to France to 2 AGH at Wimereux for a month in November. He was promoted Colonel and appointed OBE in January 1918 and returned to Australia in February 1918. He had requested a return to Australia due to age, (63 years) with approval from Surgeon General Neville Howse VC, DMS AIF Climatic conditions are generally against an officer of his age and prejudicial to his health. His appointment terminated on the 6th April 1918. Hayward was issued the British War Medal and the Victory Medal with Oak Leaves. He continued his work at the Adelaide and Adelaide Children’s Hospitals. He believed that alcohol had been considered too important in treatment and, in the last ten years of his practice, he spent much of his time encouraging the reduction of prescribing of alcohol in Australia. He was the author of many clinical papers in the Australian Medical Gazette. Hayward had married Australian-born Florence Burden, who made a considerable reputation for herself as an author and journalist, sometimes using the nom-de-plume ‘Firenze’. Florence’s mother was the widow of the Honourable J H Barrow the founder of “The Advertiser” in 1879. They had four sons and two daughters; Harold Thornborough Hayward, who served as a private in WW1 and a Corporal in WW2; Lancelot Alfred Hayward who also served as a MO in WW1; GB Hayward; JH Hayward; Mrs RM Steele and Mrs H Kay. William Thornborough Hayward died on 21st December 1928 with his address as 20 Alexandra Ave, Rose Park, SA. His obituary states he belonged to that age both in his external appearance and his courteous bearing and his passing is a sign of the mode of manners of one generation differ from those of the next. MJA, Vol. 1 No. 8 February 16th 1929 p 225. Photo: ACH Cup Book, May 1904.